The forwards line up in a corner with the pucks. The Defense line up near the goal. On the whistle forward #1 skates with the puck followed by forward #2. 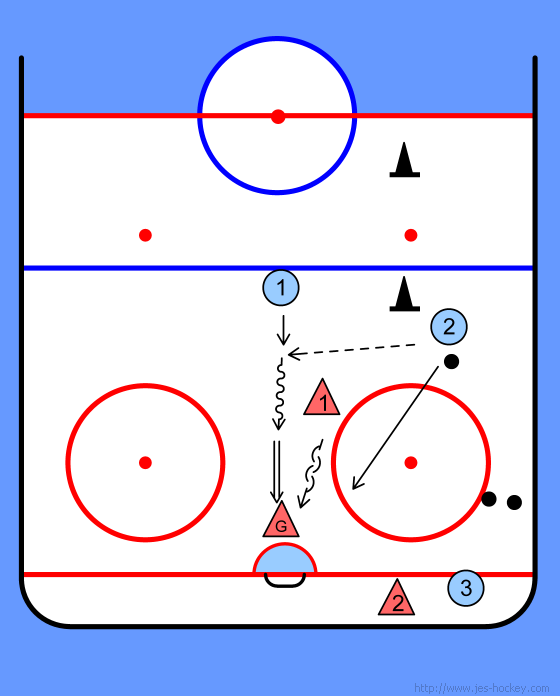 #1 carries the puck to the farthest cone. 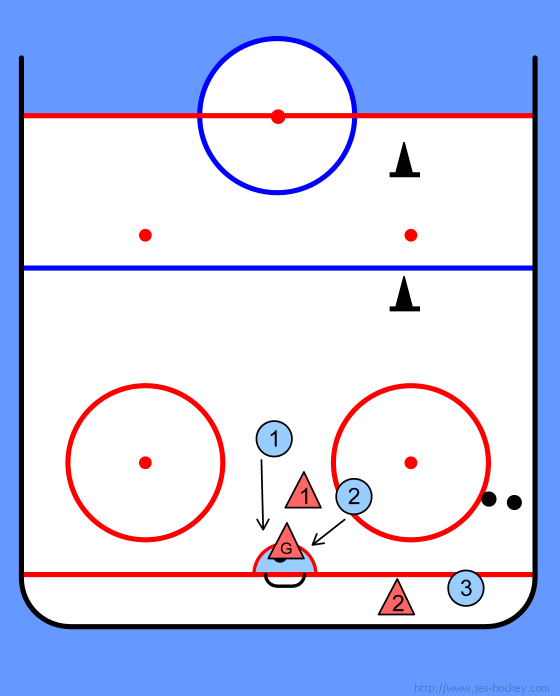 #2 skates just past the blue line and stops. Defense #1 skates forward to the closest cone. Forward #1 carries around the cone looking to pass to forward #2. Defense #1 skates around the cone transitioning to backward skating. Forward #1 passes to #2. Forward #2 carries the puck across the blue line followed by #1. The defenseman plays a 2 on 1. #2 passes back to #1 and drives to the net, while #1 takes a shot on goal. Both forwards drive to the net looking for a rebound while defenseman #1 tries to defend against them.